This was a second chance romance novel which had a good story, but nothing unique or special. It was my first time reading a novel by Gerri Russell and I found that I really enjoyed her writing and the dual point of view style of writing because it helped the reader understand the characters. I enjoyed Connor's character because he was intelligent and understood his flaws and he made the effort to change it. At points I felt Ellie's character very boring and she always seemed to feel sorry for herself. The chemistry between Connor and Ellie was good, but it could have been better. I found that I wasn't able to fully understand their decision to break up the first time and end up hating each other, so that was a bit confusing for me. I enjoyed the addition of the meddling Elvis impersonaters because they reminded me of Melody Anne's books. Overall an okay second chance romance novel. Ellie Hawthorn is an event planner who heads to Vegas for a conference which will help her business as it is currently doing poorly. After too many tequila shots, she ends up getting up the next morning married to her high school boyfriend Connor who had broken her heart. Connor is in Vegas in order to try to get funding for his self driving car project. 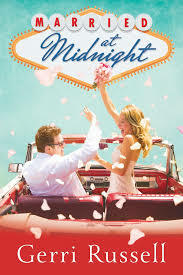 He is as shocked as Ellie when he finds out they are married, but when he recieves a call that his grandmother is seriously ill, he then requests Ellie to stay married until his grandmother recovers. When Connor's grandmother Viola forces them to live together for five weeks, sparks begin to fly between Connor and Ellie. Together with Viola and the Elvis impersonaters scheming, will Connor and Ellie give their love a second chance.